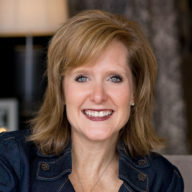 I have a guest writer on my blog today–someone I adore, writing about someone else I adore. My sister, Nan Williams Green, is writing about our dad. He is Kenneth Williams, businessman, to many. And to many more he is Koach. To us, he is daddy. We have had a front row seat to watch him for 40 years, day after day, put on his running shoes and push himself with perseverance. My sister and I, along with our brothers, have learned many lessons–both practical and spiritual–as we have watched our Dad. And… well … I will let Nan explain. Every child thinks that their parents are crazy at one time or another. I accept this as true about my parents and I know my children and grandchildren will feel the same way about me – if they haven’t already. Wink wink. And while my mom has had some crazy in her life, my dad has worn the “crazy crown” for as long as I can remember. Yesterday, I watched one of his crazy days, and I must say, it was one of the best days of my life. You see, my dad is a runner. 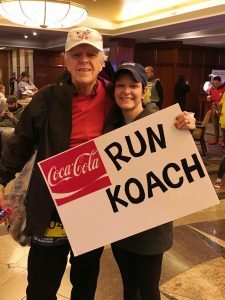 Other runners call him “Koach” because his first name starts with the letter K and he has coached ALOT of people around the world. He started running long before it was cool. He began back when running was still called “jogging”, and he has never stopped. 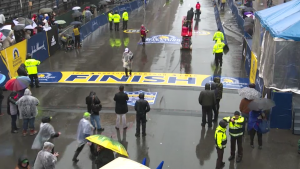 Yesterday, he finished his 17th Boston Marathon! I have to stipulate “Boston Marathon” because he has run a total of 67 marathons all over the world. To run in the Boston Marathon, one needs to qualify, which means running another marathon at a certain pace based on age. In other words, no one can just decide to run the Boston Marathon. There are rules and requirements and one has to meet those requirements to be eligible to run. So….Dad just ran his 17th Boston Marathon as a qualifier. He’s a little north of 76 years old. He’s definitely crazy. Over the years, I must confess to an eye roll or two when Dad’s running adventures have come up. I accepted his running as part of who he is and what makes him tick, but I’m not sure I embraced how much he loves the sport until these last few years. I believe my thinking changed exactly 5 years ago when he should have been at the finish line of his 12th Boston Marathon, but a knee injury had slowed him down. A bomb, heard around the world, changed the way I thought about Dad’s crazy addiction to running. Before that point, running was just his pastime…the thing he did for health, stress, and the camaraderie of the act. But that day I caught a glimpse of something else…something stronger and more powerful in him, and in others like him, than I had given him credit for. Something even crazier than I had first thought. As late as February of this year, I found myself thinking that my husband and I should go with Dad to Boston for the 2018 marathon. My mom has been faithful to support her husband of 55 years as he ran everywhere. Together, they have had wonderful trips centered on running, including most of Dad’s Boston adventures. Illness has prevented her from traveling in recent years, so it was our turn to go. And April 16, 2018 was the day! To say the weather was bad is a massive understatement. Many seasoned runners said the conditions were the worst they had ever experienced. The temperature was around 40 degrees at its highest point, with constant headwinds often reaching 30 miles per hour. Oh and it rained! And it poured! And it never stopped. Fears of hypothermia, dehydration, what to wear, and how to keep feet dry were the pre-race dinner conversations with fellow runners for the days leading up to the race. But it didn’t matter…every runner was wet and cold before they crossed the starting line. Finishing became the real fear! Let me back track a minute and let you in on a small secret! My dad is a marathon Rock Star! Not an “elite runner” as far as running times go, but a celebrity none the less. He has the years of his runs stitched onto the back of one of his Boston jackets – all those years taking up the entire back of his jacket. I’ve watched people stop and point. I’ve seen them count out loud, adding up the total. I’ve seen people high-five him, take photos and videos, and ask for advice! I mean he has 12,000 followers on Twitter! This weekend, people took his photo and moved aside as he passed. It was crazy! Dad began running his 17th Boston Marathon at 11:22 am yesterday morning, a part of the fourth wave of runners. A marathoner doesn’t just get to the starting line, fight for a spot and start running when the gun goes off. No! First, all the runners gather at a specific location in downtown Boston. Based on their running number, they line up, and board “yellow dog” school buses and are transported to a small Massachusetts town called Hopkinton about 26 miles outside of Boston. Runners are herded into the “athlete’s village”- basically a big tent and a lot of port-a-johns. The conditions of the athletes village yesterday was referred to by one runner as a “refugee camp” with acres of mud, trash and personal items abandoned and discarded everywhere you looked. In this area, they wait for their starting times. I don’t want to think about the nerves and butterflies, the fear, the concern, the nasty port-a-potties, and the constant “what ifs?” my dad must have had before he could line up. The fourth wave of runners started their journey at 11:15 am, and there were so many runners that it took Dad a full seven minutes before he could even cross the starting line to begin his race. Monday was not a great day for him. In fact this race was the slowest marathon he has ever run by over an hour. The conditions, previous injuries, and maybe his age were all factors in a disappointing marathon time. But, my father is my hero! He ran for hours longer than average runners half his age. He withstood the elements in very little clothing, wet feet, and a couple of borrowed garbage bags. He smiled and hugged us at mile 17 and asked to borrow my phone so he could call my mom and assure her that he was okay. He cracked jokes about being an “old man” who would not be receiving the whoops and hollers as usual from The Wellesley College girls who weren’t crazy enough to stay outside in the miserable conditions. He climbed hills, ran though commercial and residential areas, ran in big groups and totally alone. 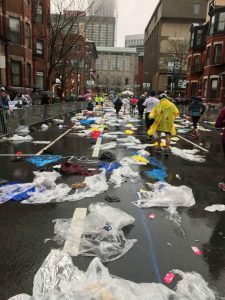 He turned right on Hereford Street only to be met by a road littered with thousands of garbage bags and ponchos all of which were discarded by other participants. 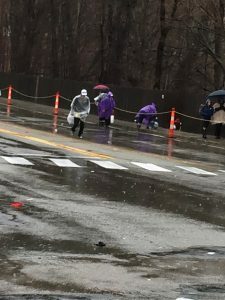 He turned left onto Boylston Street where more rain gear had been thrown to the ground and caused many runners to slip and lose their balance. It was still pouring rain, but as the end was in sight, runners were anxious to lighten their loads – or maybe they just wanted to look good when the professional photographs were taken at the finish line. 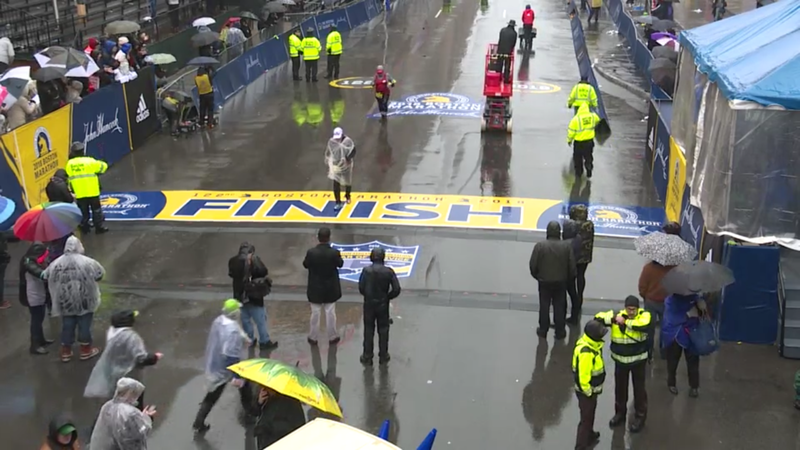 He crossed over from the left side of Boylston, through the debris to where my husband and I were cheering him on…just 300 yards from the big blue and yellow finish line. We followed him up the street until we were assured that he had crossed that painted line to finish the race and receive his Boston Marathon Finisher’s medallion. (Each of his medallions will go to his 15 grandchildren and with enough left over for some “greats”.) My eyes filled with tears as strangers encouraged him, clapped for him, and rang cowbells as he wobbled past them. My dad never stopped running! He’s crazy like that! Crazy mixed in with just enough stubbornness, stamina, determination, perseverance, grit and love for his sport. He earned a “Crazy Crown” years ago from those of us who know and love him, but yesterday, it was as if a gold laurel wreath crown had been placed on his head. My daddy is crazy! And I want to be just like him. Well said Nan. I am confident that your Dad is as proud of you as you are of him. I ran my first marathon while living in Corinth. Your Dad was my inspiration. Nan, this is the sweetest article I have ever read. I would love to meet this wonderful, crazy dad of yours! You are blessed. He’s truly one of kind, Nan, and one of my running heros and dearest of friends. Nan, your writing warms my heart. I am fortunate to have worked as a helper in the first Coca Cola Classic. Therefore, I have followed your dad’s adventure for many years, and remember seeming him running the streets and byways of Alcorn County. Your writing is a true gift of love, respect and appreciation. Nan, although I’m not a runner, I’ve known your Dad for nearly 45 years, and he is truly amazing! Crazy?? I’d say yes, but crazy in a good way. Nothing is too much of a challenge for him. I am inspired by his diligence and I remain in awe of all he has and will accomplish! Here’s to many more marathons! Nan, this is beautiful! I feel privileged to know your dad, you, the entire Williams family! You all inspire us! Congratulations! What an inspiration. You family is truly BLESSED! I feel privileged to call your Dad my Brother, as well as his Brother (Sandy). They have lived their lives as Great Sigima Chi’s. In Hoc. My Daughter has run the Boston M. ,as well as the Chicago, New Orleans , etc.in total she ran 26.—She is 54. Keep on Trucking Kenneth. An inspirational writing. When an inspirational character and a fine writer come together, great results, as here. GREAT ARTICLE ! HE’S EXTREMELY DEDICATED AND EMOTIONALLY AND PHYICALLY TOUGH !!! Hugh Poland — former triathlon and marathon participate (age 79). HOTTY TODDY !! !